Courtesy of RIVER HILLS REALTY, INC..
Great pool home in the beautiful community of River Hills. 3 bedrooms plus study/office. Newly updated kitchen and bathrooms. Kitchen overlooks the great room and out to the pool area! Hardwood floors in the great room, 2nd and 3rd bedrooms. New tile with wood look in the large master bedroom with a completely updated master bathroom Large great room with views of the pool. Covered lanai and large salt pool for entertaining . Private backyard! Lighted rotunda greats you as you enter the home.Great and landscaping .Roof and AC less than 2 years old..New hot water heater and water softener!! Come see why everyone loves River Hills!! Area’s only man gated golf course community!! NO CDD!!! 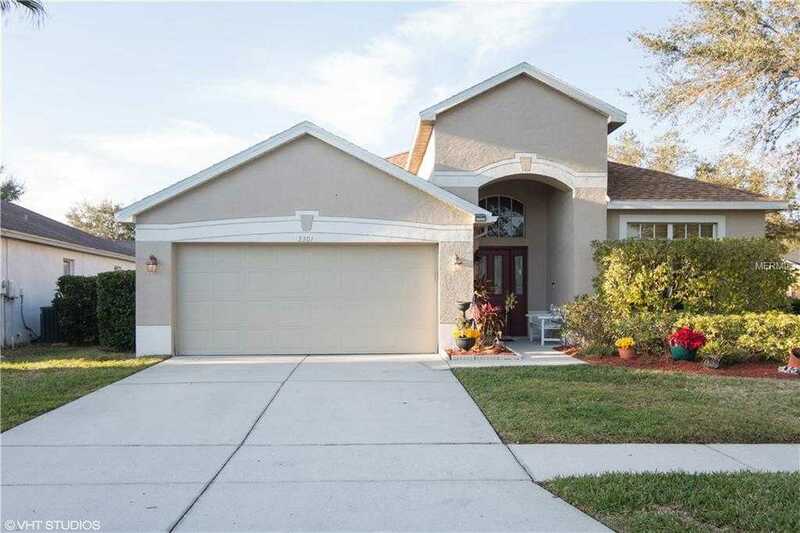 Please, send me more information on this property: MLS# T3154890 – $319,900 – 3301 Stonebridge Trl, Valrico, FL 33596. I would like to schedule a showing appointment for this property: MLS# T3154890 – $319,900 – 3301 Stonebridge Trl, Valrico, FL 33596.